Prominent & Leading Manufacturer from Gurgaon, we offer Thiamethoxam, Iminodiacetic acid, Brodifacoum, Dichlorvos, Glimepiride and 2-Aminophenol. Foliar treatments: citrus, cole crops, cotton, deciduous, leafy and fruit vegetablets, potatoes, rice, soybeans, tobacco, etc. Seed treatment: beans, cereals, cotton, maize, oilseed, peas, potatoes, rice, sorghum, sugar beets, sunflowers, etc. Place 3-4 piles per 12-20 square meters indoor (3-5 grams every pile). Place one pile every 5 meter around the garden (5-10 grams pile). Place 30-40 piles per 600 square feet (5 grams every pole). Placing full dose of the product once is enough. Glimepiride is used with a proper diet and exercise program to control high blood sugar in people with type 2 diabetes. It may also be used with other diabetes medications. Controlling high blood sugar helps prevent kidney damage, blindness, nerve problems, loss of limbs, . Proper control of diabetes may also lessen your risk of a heart attack or stroke. Glimepiride belongs to the class of drugs known as sulfonylureas. It lowers blood sugar by causing the release of your body's natural insulin. Kept in a cool dry place and avoid direct sunlight. 1596-84-5 b9/daminozide 85% can inhibit the growth of plants, promote the stocky, without affecting the blooms. 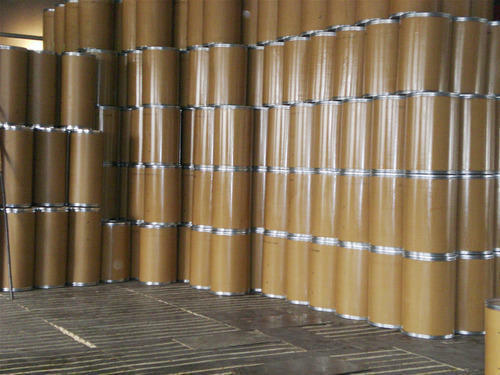 Application: Strong reductive agent, can be used as intermediates of energy-contain material, and ingredients of rocket explosive and impelling agent; Also it is the highest efficient agent to move Oxygen from boiler, with lower toxin, high melting point and high efficiency, safe to environment; and it can be used as cross-linking agent of elastic fiber in chemical fiber industry; as chemical raw material and intermediate, it is widely used in pharmaceuticals, herbicide, plant growth regulator and dyestuff industry. 4. Physical properties: White crystalline powder or flaky crystal. Specific gravity: 2.220. It may lose crystal water when heated to 109°C. It is soluble in Hydrochloric Acid and Nitric Acid, slightly soluble in water (1.8%, 30°C). Commonly, it contains free Phosphoric Acid and has the character of hygroscopicity. Its water solution is acidic. Oral Acute oral LD50 for rats 1517, mice 1490 mg/kg. Skin and eye Acute percutaneous LD50 for rats >4000, rabbits >6000 mg/kg. Non-irritating to skin and eyes (rabbits). Skin sensitiser (guinea pigs). Inhalation LC50 (4 h) for rats >5800 mg/m3. NOEL (2 y) for rats 3.6, mice 10 mg/kg b.w. daily; (1 y) for dogs 1.9 mg/kg b.w. daily. ADI (JMPR) 0.04 mg/kg b.w. ; (Syngenta) 0.02 mg/kg b.w. Other Not mutagenic, not teratogenic. No carcinogenic potential of relevance for human exposure. Toxicity class WHO (a.i.) II. Mode of action Systemic foliar fungicide with protective and curative action, with translocation acropetally in the xylem. Uses Systemic foliar fungicide with a broad range of activity, at 100-150 g/ha. On cereals, it controls diseases caused by Cochliobolus sativus, Erysiphe graminis,Leptosphaeria nodorum, Puccinia spp., Pyrenophora teres,Pyrenophora tritici-repentis, Rhynchosporium secalis, and Septoriaspp. In bananas, control of Mycosphaerella musicola andMycosphaerella fijiensis var. difformis. Other uses are in turf againstSclerotinia homoeocarpa, Rhizoctonia solani, Puccinia spp. andErysiphe graminis; in rice against Rhizoctonia solani,Helminthosporium oryzae, and dirty panicle complex; in coffee againstHemileia vastatrix; in peanuts against Cercospora spp. ; in stone fruit against Monilinia spp., Podosphaera spp., Sphaerotheca spp. andTranzschelia spp. ; in maize against Helminthosporium spp.